Arm Cannon is a group of progressive mathematical metal maniacs tirelessly reinterpreting your favorite videogame ballads of the past, and making them fresh again. 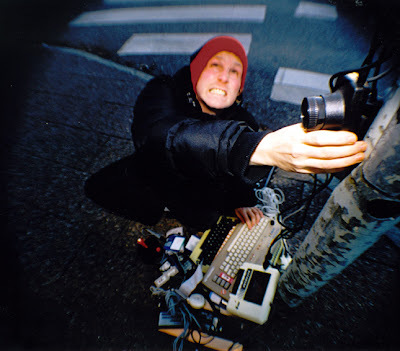 Instead of the bleeps which originally emanated from your television Armcannon has transformed this music into thick metal rifs and cascading keyboard scales. Damn. These are some absolutely amaxing pieces. 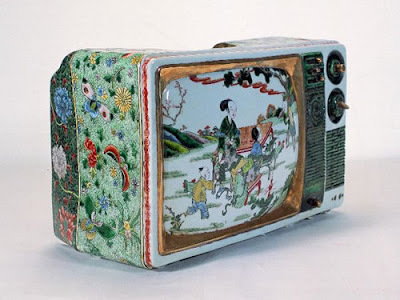 Ma Jun makes ceramic televsions. 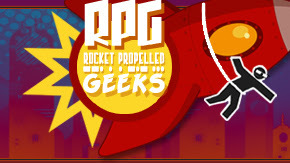 Download the Rocket Propelled Geeks new album for free from their website. A great archive of Papercraft of your favorite Nintendo charcters can be found here. 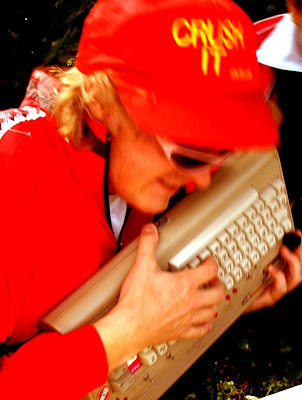 Talk of the Nation, June 21, 2007 · Today’s video games are moving beyond violence and sports. New games provide chances to play middle-east peacemaker or solve problems regarding immigration or food safety. Ian Bogost, creator of these games, discusses why he makes games that go beyond entertainment to education, advocacy and art. ‘Today it’s raining,” sings Manu Chao 26 times on his new single, available free from manuchao.net to promote his upcoming album. Could the song’s lyrical refrain be inspired by a bank holiday weekend spent in an English seaside town? The title, Rainin in Paradize, would imply not. Besides, Chao has bigger lyrical fish to fry, with the rest of the song concerning conflict, catastrophe and hypocrisy in Congo, Liberia, the Middle East and Iraq. 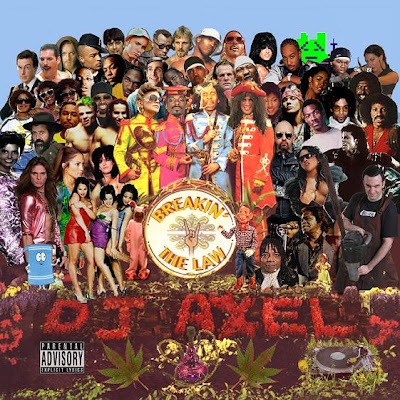 Nerdcore Hip Hop in Mainstream news. Nerds are the new rock stars. Or at least they’re treated like rock stars, maintains 21-year-old Samantha Lee Wallace of Columbus, whose boyfriend Matt Ballard is the founder and president of Campus Nerds at Columbus State University. “People like the underdog because they are enjoyable to watch and nerds are by their very definition the underdogs,” Wallace said. In Ballard’s company, Wallace has watched Campus Nerds grow from its beginning stages last September to a 100-member club that recently was named CSU’s organization of the year. 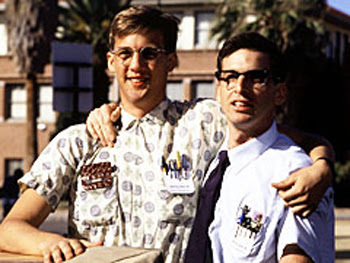 Ballard said a growing emphasis on nerd power has changed his social life dramatically. In March, his group hosted the first-ever NerdaCon, a local event that drew 1,300 attendees. “I never grew up being popular and now my reputation precedes me,” Ballard, 22, said.